Russian media are actively quoting the President of the Russian Federation, who talked a lot about Ukraine at the international discussion club "Valdai". According to Putin, the current situation in Ukraine is the result of an unconstitutional seizure of power, and Europe is to blame for this. 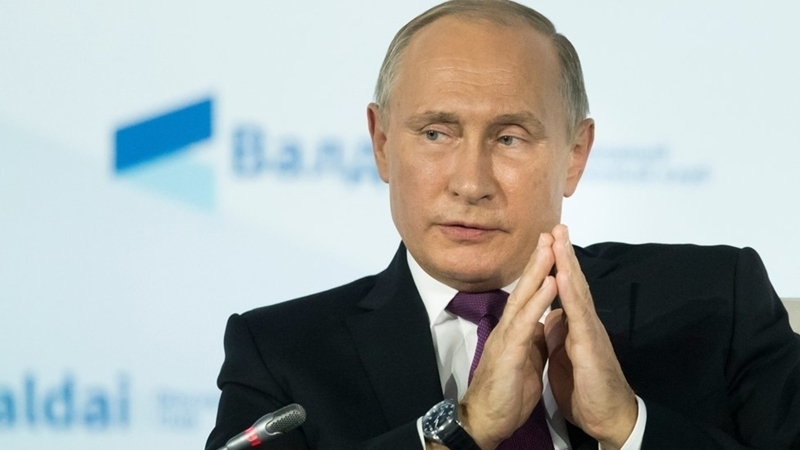 "Today's situation is the result of unconstitutional armed seizure of power in Ukraine, and Europe is to blame for this, because it supported this coup," Putin said. The President further noted that "due to the unconstructive position of the former European Commission, the situation reached a coup d'état." He noted that the United States and Europe financially, politically, as well as on information level, promoted the Revolution of Dignity. “They supported an unconstitutional seizure of power, a bloody one, with victims, they brought the matter to war in the southeast of Ukraine, the Crimea declared its independence and annexation to Russia. And you think we are to blame for this? Have we brought something to an unconstitutional coup?” Putin stated. Nevertheless, he said, "Russia will do everything for the internal unification of Ukraine." Putin stressed that he loves Ukraine and the Ukrainian people, and considers them "fraternal, if not part of the Russian people." Putin also thinks that "the restoration of ties between Russia and Ukraine must eventually take place, it is necessary for both countries." “I hope that this will also happen some day, I really count on this, including, as a result of the interaction between Russia and Ukraine. I think that the restoration of ties is necessary. By the way, for Russia as well,” Putin said. Earlier, Putin stated that closing the border between Russia and the Donbas would lead to massacres. Reference: in January 2015 the Verkhovna Rada of Ukraine recognized the Russian Federation as an aggressor country in connection with the Russian occupation of the Crimea and the aggression in the Donbas under resolution No. 1854. In October 2017, the Verkhovna Rada adopted in its first reading the draft law No. 7163 "On the peculiarities of the state policy for ensuring Ukraine's state sovereignty over temporarily occupied territories in the Donetsk and Luhansk regions". Its preamble noted that Russia initiated, organized and supported terrorist activities in Ukraine, carries out armed aggression against Ukraine and temporary occupation of part of its territory.